The Rhythm of City(2011) is an art piece that points out an innovative and artistic way for applying geo-located social data as a score. At the same time, the data represents a city’s pace of life. The goal is to metaphorically describe locations by extracting geo-tagged content of Twitter, Flickr, Youtube, and translating it into the rhythm of a physical metronome in real time. In short, a metronome represents a city. 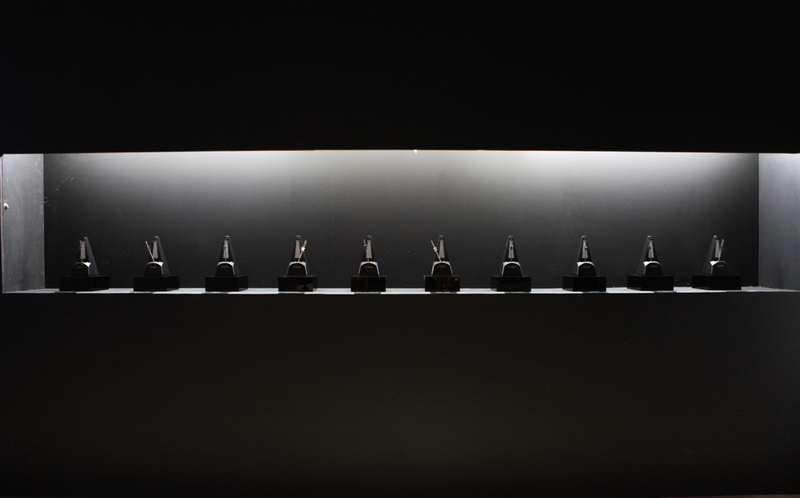 The installation consists of 10 modified metronomes whose rhythms correspond to the selected cities’ digital pace of life. 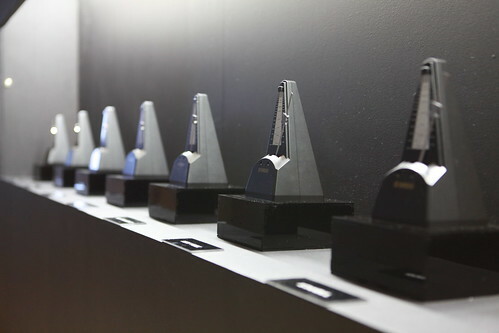 The audience is given a chance to discover and experience an alternative way of perceiving different locations through a continuous performance of 10 metronomes. Our concerns are about the malleability of the digital world to the physical one, and the interpretation of social data for artistic purposes. The installation is a sonic and at the same time visual interface for perceiving the urban life and culture of different locations. Moreover, it gives an alternative meaning and purpose to the location-specific invisible online data. The urban studies of Bornstein & Bornstein from early 1970s served as an inspiration for the artwork. They had discovered a positive correlation between the walking speed of pedestrians and the size of a city. Simply put: the bigger a city, faster move people. The artwork demonstrates our interpretation of city’s tempo through its digital life. Hence, The artwork talks about pace of life in different cities at the same moment when the piece is viewed.